The new Amber Park condo is a freehold residential project that will arise on the site occupied by the previous Amber Park. 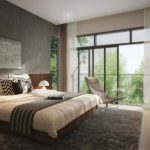 Designed and landscaped by award-winning SCDA Architects, it promises to be something special, with larger floor areas than at other new projects. This will be a luxury condominium with three 21-storey high blocks, housing about 592 homes and basement carpark. The three blocks are arranged in a C-shape, with the open part of the C facing towards the open views over the low-rise buildings of the Chinese Swimming Club. Such a design helps to maximise the sea views of the units here. 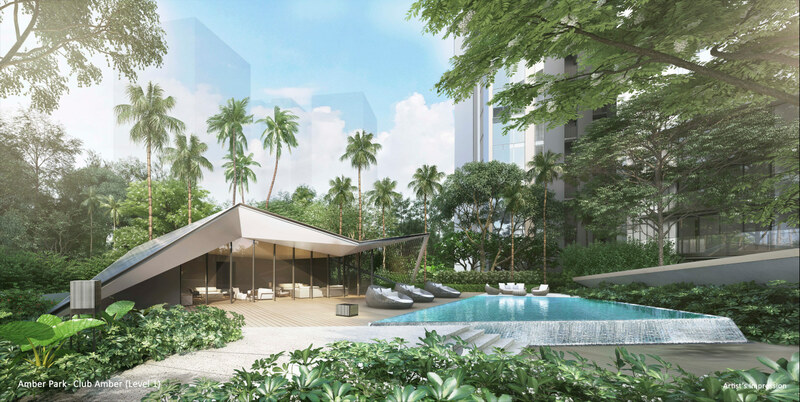 Amber Park Singapore will be one of the few new freehold residences in District 15 on a biggish piece of land. There are not many sites of such a size available for development in the popular Amber Road neighbourhood. Most of the other largish plots have been sold for redevelopment. 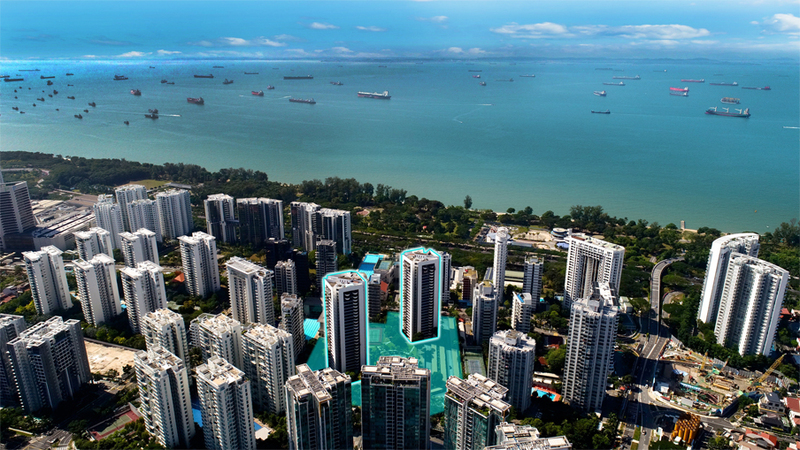 The Amber Park condo is one of the last freehold sale sites with a land area of over 200,000 sq ft in Marine Parade. This neighbourhood is known for its rich cultural heritage and foods haunts, and is near malls like Parkway Parade and I12 Katong, and high-regarded schools like Tao Nan and Ngee Ann Primary, Tanjong Katong Primary, and CHIJ (Katong). Amber Road, and the surrounding private residential area, has long had a loyal following, from both locals and expats due to its location: a short walk to the sea and to East Coast beach, and within 15 minutes drive from the Raffles CBD, Marina Bay, and Changi International Airport. 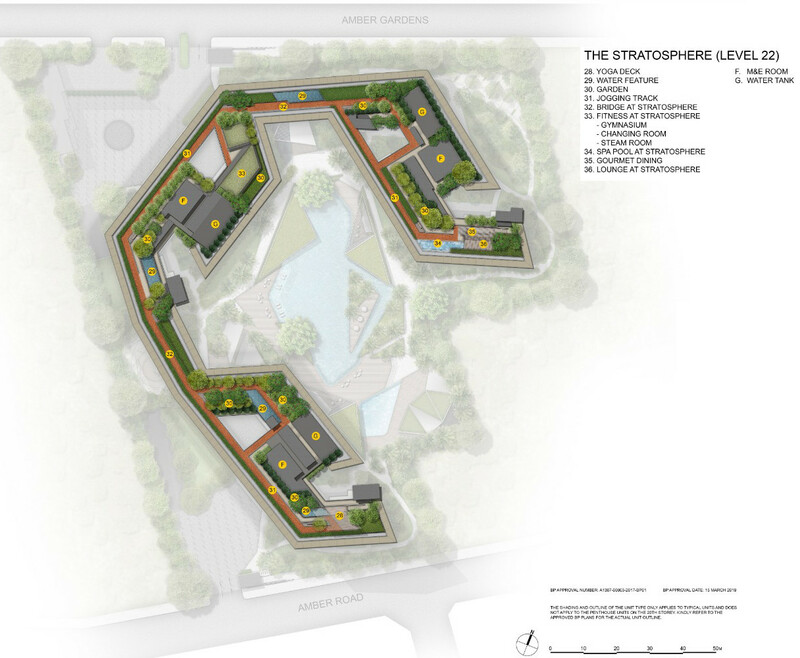 “In addition to strong locational attributes, a distinct advantage of the site is its freehold status, something that is increasingly rare in Singapore,” said Mr Sherman Kwek, CEO-designate of CDL. 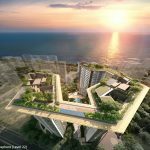 With all these factors including the clear sea views, and its proximity (290 metres, less than 4 minutes walk) to the upcoming Tanjong Katong MRT station due for completion in 2023, healthy demand is expected for this project. The former Amber Park, built in 1986 by City Developments Ltd (CDL), was put up for (en-bloc) collective sale. And in an interesting turn of events, it was sold in October 2017 back to City Developments and joint-venture partner Hong Realty. The keenly contested tender drew 8 bids. At the winning price tag of SGD$906.7 million, it was Singapore’s 2nd largest freehold collective sale at the time. According to OCBC Investment Research’s Eli Lee, the winning bid, though aggressive, was not unreasonable, in view of recovering home prices, and the fact that such choice sites are difficult to come by. 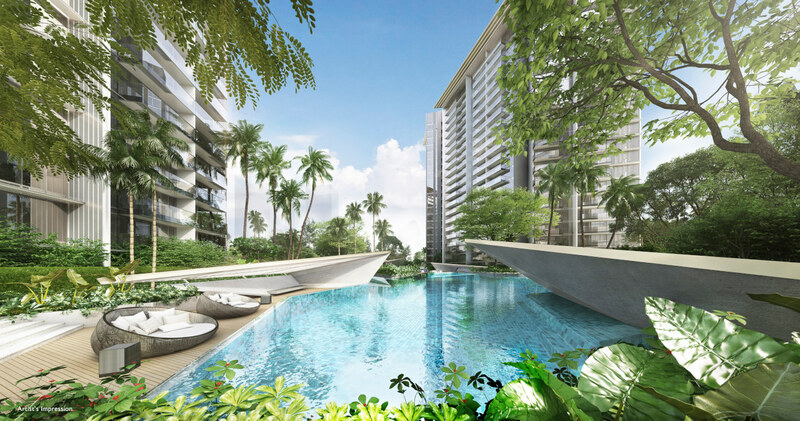 For the Amber Park condo in particular, it is in the popular East Coast / Katong residential zone. This is a relaxed family friendly environment with good food, sea breezes, and sandy beaches, that offer a great quality of life. Project Account Oversea-Chinese Banking Corporation Limited for Project Account No. 712-615236-001 of Aquarius Properties Pte. Ltd. The Amber Park floor plans are available. 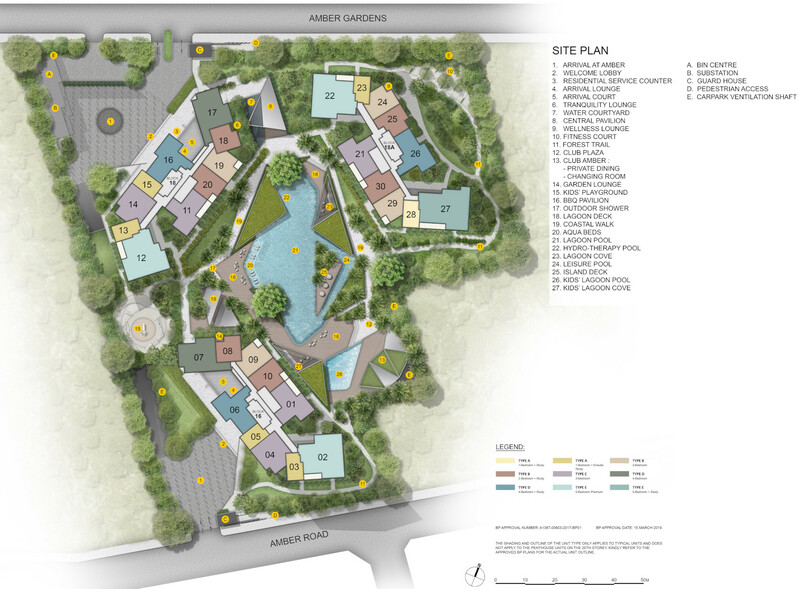 Do drop us a note below if you wish for the Amber Park condo floor plans to be sent to you. 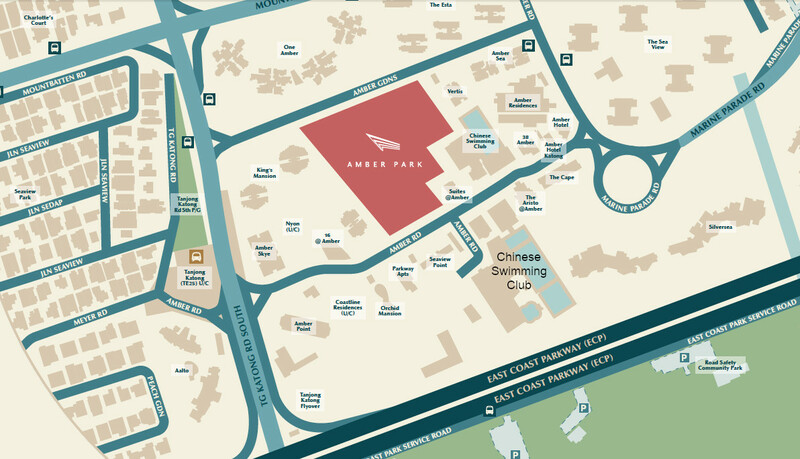 The Amber Park condo site enjoys the advantage of having dual frontages: it fronts both Amber Gardens and Amber Road. On the south-facing Amber Road side, part of the frontage is toward the low-rise Chinese Swimming Club. Beyond the club there are no buildings, just the East Coast Parkway (ECP), followed by East Coast Park and beach. This means south-facing units at the Amber Park condo will very likely get good sea views. But not the ECP noise, something that homes in the front row opposite the beach have to contend with, as these are right next to the ECP too. The Amber Park showflat is not ready for viewing yet. Do drop us a line below if you wish to be kept posted on when the Amber Park showflat will open. The Amber Park prices are not decided yet. Please drop us a note below if you wish to be kept posted on the pricing. CDL will only release the Amber Park condo prices on the sales / balloting day. Meanwhile, analysts have estimated a price range as follows. The purchase price of S$906.7 million for Amber Park translates to a land rate of about S$1,515 per sq ft per plot ratio, based on the 2.8 plot ratio for this site. This could work out to break-even cost of about $2,200 per sq ft, with possible selling price of $2,500 to $2,600 PSF. This is higher than for previous nearby launches, but in line with the overall market trend in Singapore, and a reflection of the shortage of land among developers as their land banks are depleted. So from 2018 onwards, based on their cost of land, developers will have to launch new projects at around 10% higher than the norm in 2016 and 2017. CDL understands the District 15 market and pricing very well, as it has developed and sold out several projects in the area. 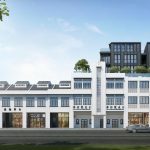 Amber Park is being developed by Hong Realty (Hong Leong Holdings), and its sister company City Developments Limited (CDL), on a shared 20:80 basis. 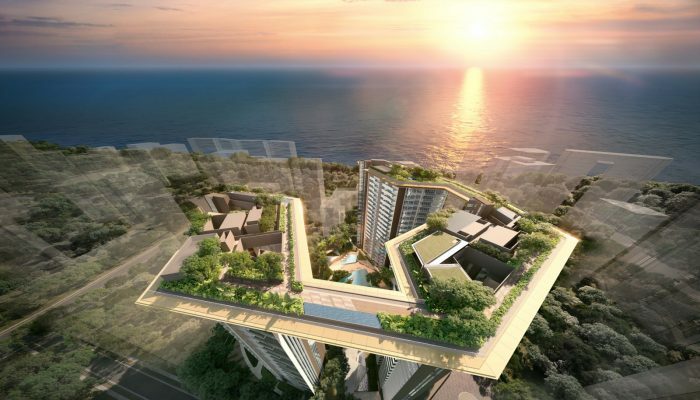 Each company, in its own right, ranks among Singapore’s top real estate development firms. Both possess a time-tested track record for premier developments, and a reputation for quality, ranging from mass market to the high end real estate segments. 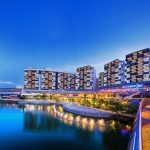 Over the past 5 decades, the Group has developed many properties and emerged as a leader in the Singapore real estate market, with over 130 residential and 100 commercial and mixed use developments under its belt. 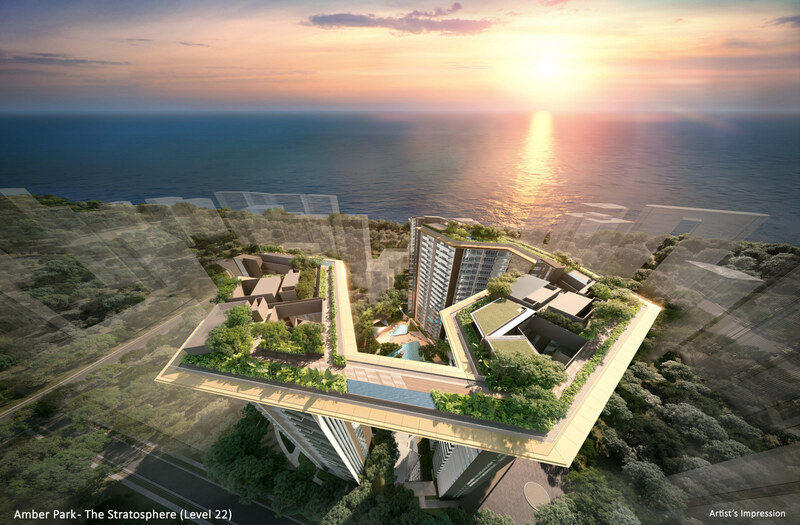 These include projects like Commonwealth Towers, Sage, The Tate Residences, One Shenton, W Singapore @ Sentosa Cove, St. Regis Hotel and Residences. As a leading commercial landlord and landowner in Singapore, the Group has amassed over 8 million square feet of lettable residential, retail, office, and industrial space in its portfolio. Hong Leong Holdings was set up in 1968 as the Hong Leong Group’s real estate investment and development arm. Since then, it has built close to 100 residential properties, and manages 10 commercial buildings. Founded in 1963, City Developments is a local Singapore listed international hotel and property conglomerate, with interests in real estate development and investment, facilities management, and hotel management and ownership. CDL has an extensive network of over 300 associated companies and subsidiaries across 80 locations in 20 countries, including 7 companies listed on the stock exchanges of London, New Zealand, Hong Kong, and the Philippines. 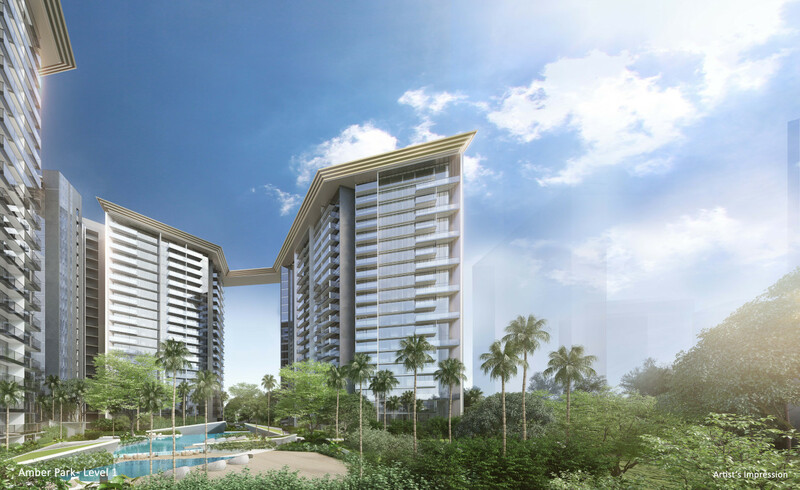 In Singapore, CDL has an remarkable track record of having delivered over 23,000 homes across the various market segments. Location. 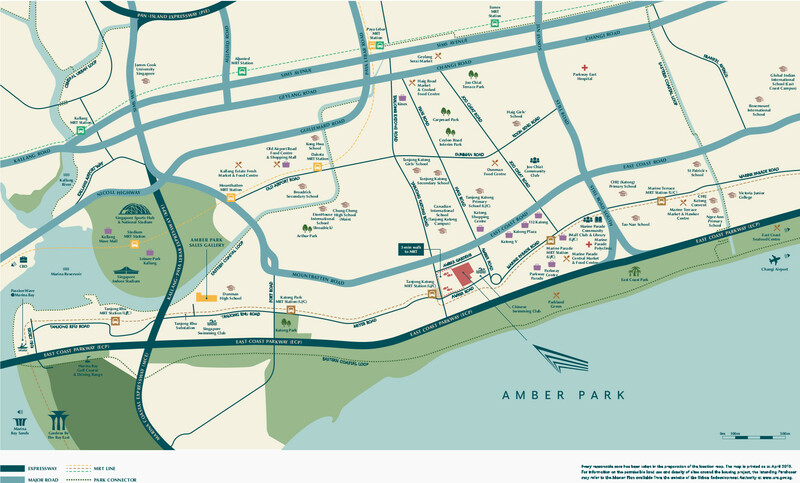 The Amber Park condo location is in the heart of the Marine Parade / Katong area, at Amber Gardens. This neighbourhood is said to be home to ‘old money’ – it has traditionally been one of the most exclusive private residential enclaves since colonial times when it was lined with mansions of rich tycoons and gardens that ran down to the sea. 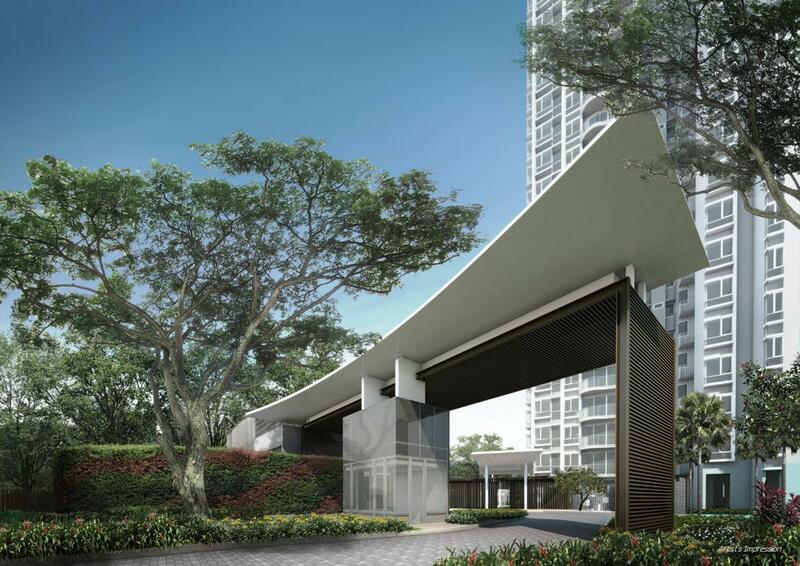 In fact, this estate ranked only just below the top districts of Orchard Road, River Valley and Bukit Timah. It has its own special ambience and character, that today still attracts a loyal following from among expatriates and locals, especially the old-time residents. Shops, Food & Supermarkets. 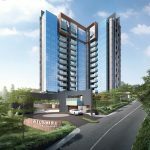 The Amber Park location is 370m or about 5 minutes walk from Katong Shopping Centre, and about 9 to 10 minutes walk (700m) from Parkway Parade. These have a complete range of shops, restaurants, cafes, fast food joints, supermarkets and banks. The Parkway Parade vicinity must be one of the few places in Singapore where you can find almost all the major banks represented in one spot. Nearest MRT Station. 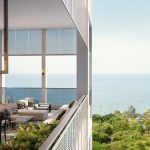 The Amber Park condo location is around 290 metres or 4 minutes stroll, to the future Tanjong Katong MRT station on the Thomson East Coast Line (TEL), that is slated to open in 2023. Schools. Well regarded schools in the area include Tanjong Katong Primary School (within 1km), and CHIJ Katong Primary, Haig Girls’, Kong Hwa and Tao Nan schools (within 2 km). Other educational institutions of note nearby include Chatsworth International School (East Campus), Chung Cheng High School, Victoria Junior College, and Canadian International School (Tanjong Katong Campus). Accessibility. From Amber Park, there is easy access to the rest of Singapore via the East Coast Parkway (ECP), that leads onto the MCE (Marina Coastal Expressway), KPE (Kallang Paya Lebar Expressway), and AYE (Ayer-Rajah Expressway). One of the main attractions of the Amber Park condo location is that it is within a 10 to 15 minute drive of the Marina Bay and Raffles Place business districts. 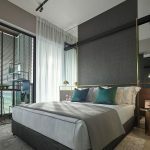 At the same time, it is also just 15 minutes drive from Changi Airport, making it ideal for those working in the CBD who have to travel frequently.